Box of 15 packs of delicious strawberry and banana smoothie bites. 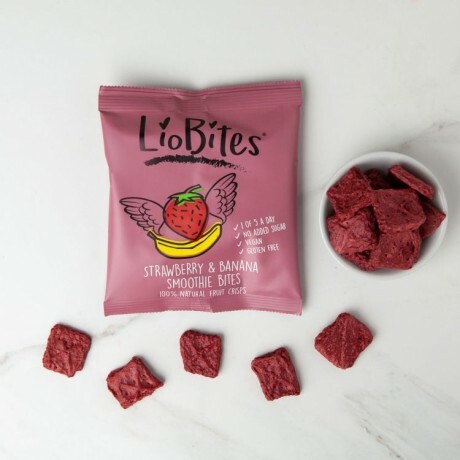 Fresh strawberries, apples and bananas are blended and mixed with black carrot juice, then moulded into squares and freeze-dried to create a crunchy fruit crisp. 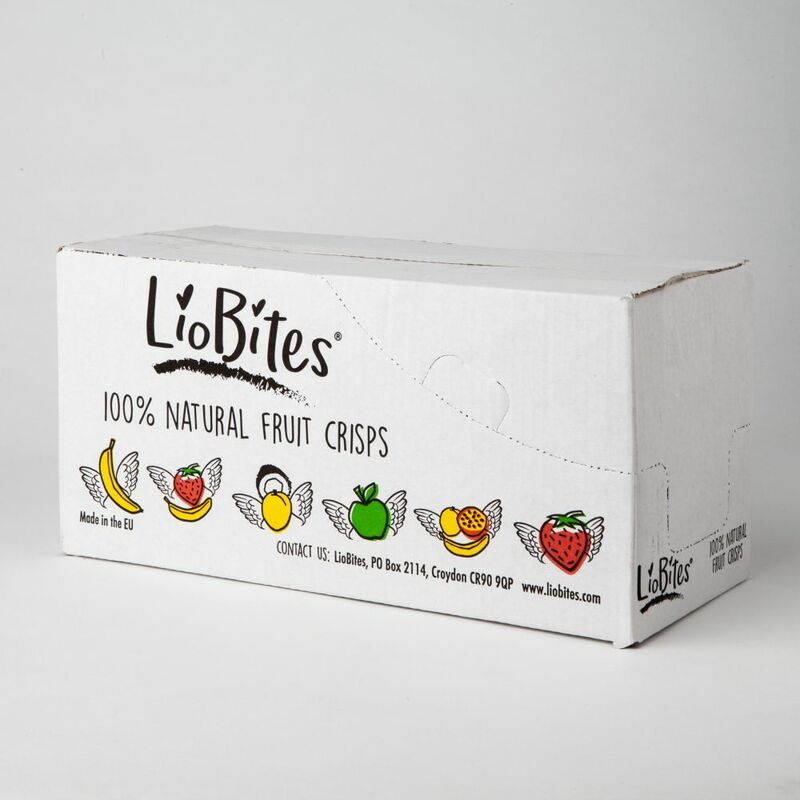 The method of freeze-drying allows most of the vitamins and minerals in the fresh fruit, plus their great taste, to be retained. 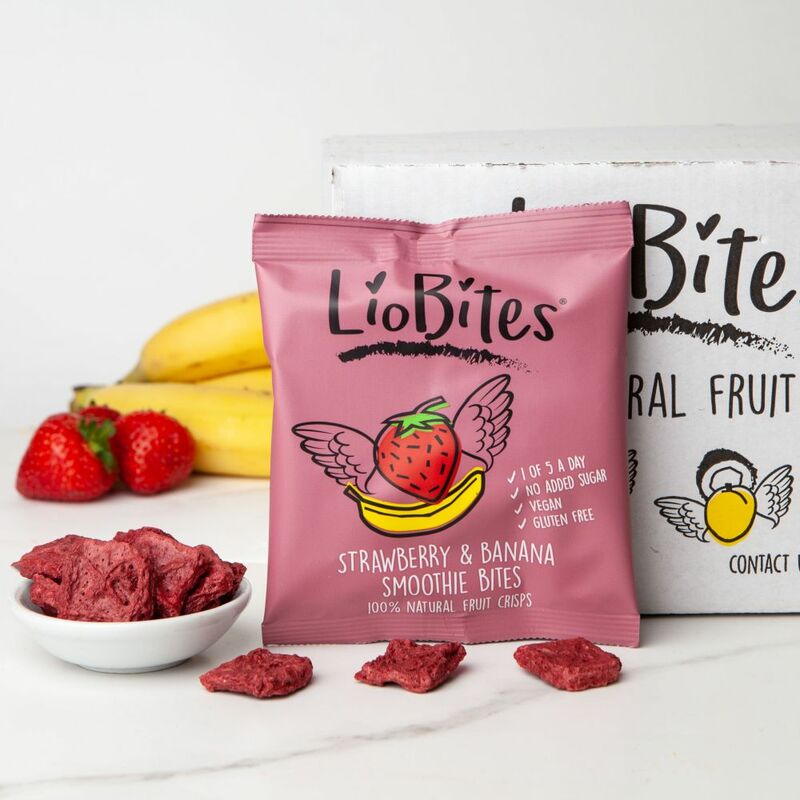 Perfect as a healthy snack for children and health conscious adults - great for lunchboxes. Suitable for children from 12 months. Young children should always be supervised when eating and snacking. 15 packs, each pack is 16g. 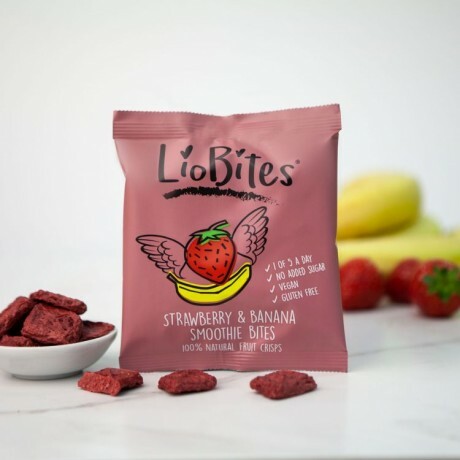 Strawberry and Banana Smoothie Bites - shelf life 12 months. Made and packed in a factory handling nuts, dairy and gluten. May contain nut traces. I 1st tasted your snacks at the Spitifields gluten free festival,then at the free from show and to my happy surprise I found you on the tumbles website and this was my 1st order. I bought it for my Anniversary party for the children which went down a treat and was able to recommend to a friend straight away. Keep up the good work and Mango and Coconut smoothie are my favourite. 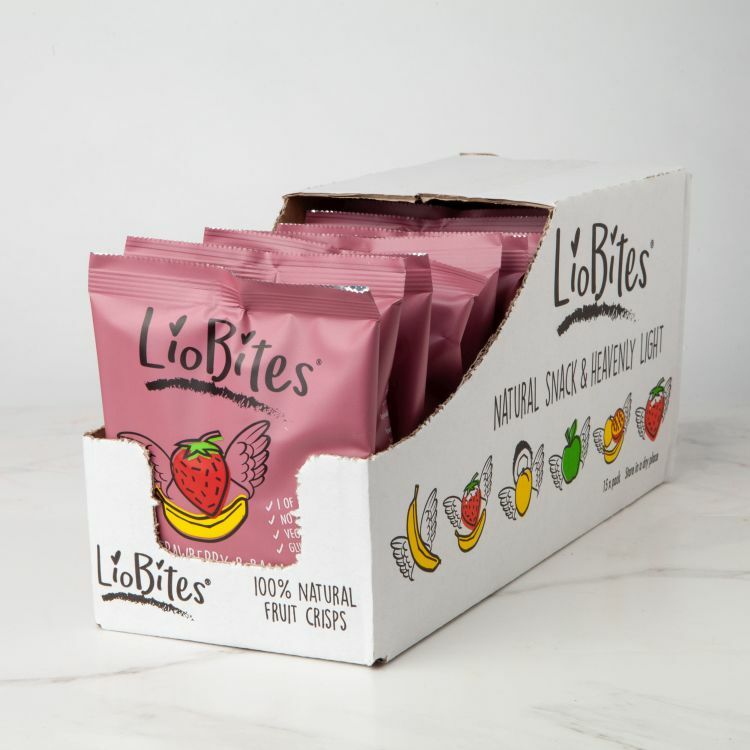 100% fruit crisps, made from fresh fruits picked in season and freeze dried to preserve the taste and nutritional values.